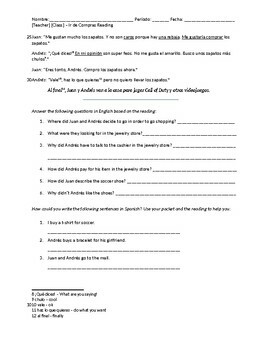 Basic reading comprehension activity for the shopping and clothing units. 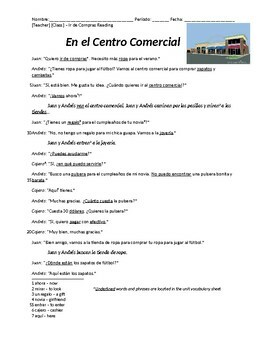 Practices phrases like "¿Cuánto cuesta_____?" and "Me gustaría comprar_____."